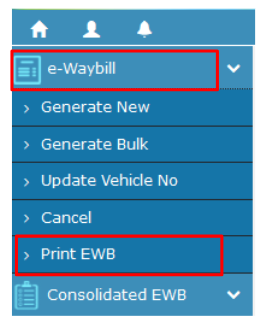 How to Generate eWay Bills on E-Way Bill Portal? 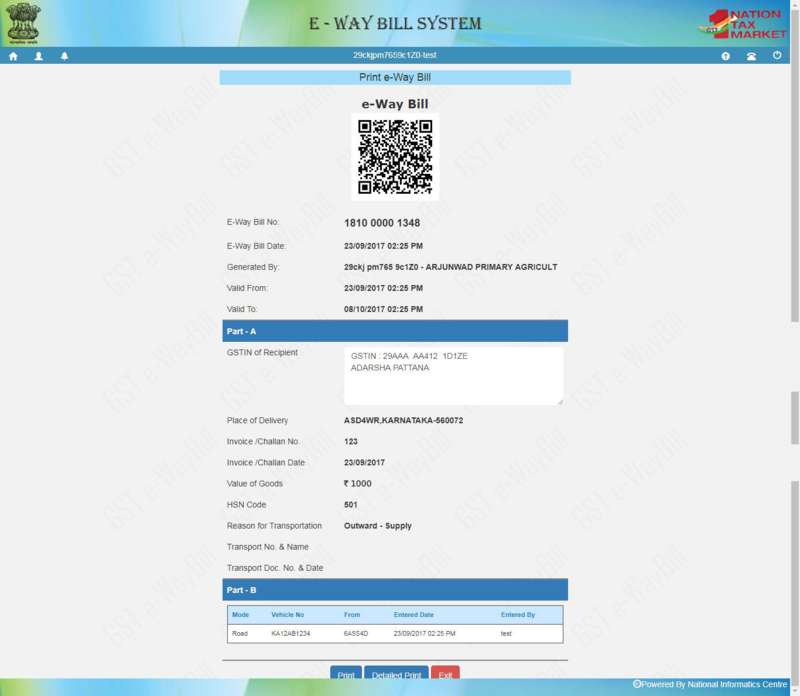 How to Generate E way Bills on ewaybill Portal? This topic covers the step-by-step process of generating the eway bills on the E way bill portal (web-based). The Invoice/ Bill/ Challan related to the consignment of goods must be in hand. If transport is by road – Transporter ID or the Vehicle number. If transport is by rail, air, or ship – Transporter ID, Transport document number, and date on the document. Step 1: Login to eway bill system. 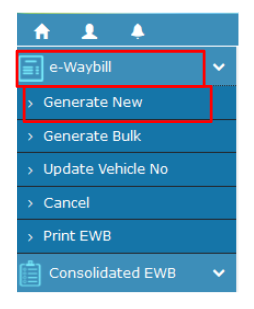 Step 2: Click on ‘Generate new’ under ‘E-waybill’ option appearing on the left-hand side of the dashboard. Select ‘Inward’ if you are a recipient of consignment. 5) Document Date: Select the date of Invoice or challan or Document. Note: The system will not allow the user to enter the future date. 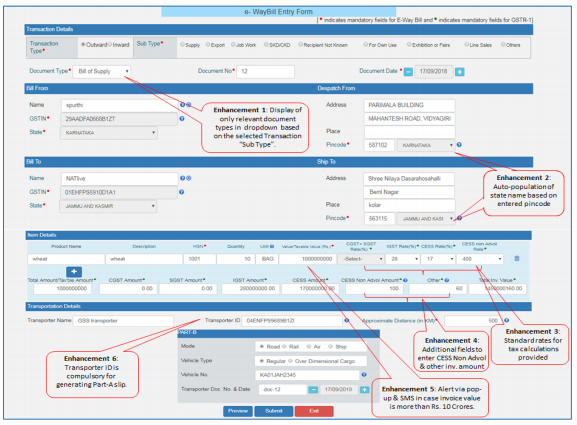 6) From/ To Depending on whether you are a supplier or a recipient, enter the To / From section details. Note: If the supplier/client is unregistered, then mention ‘URP’ in the field GSTIN, indicating that the supplier/client is an ‘Unregistered Person’. Note: On the implementation of Eway bills, Based on the details entered here, corresponding entries can also be auto-populated in the respective GST Return while filing on GST portal. 8) Transporter details: The mode of transport(Road/rail/ship/air) and the approximate distance covered (in KM) needs to be compulsorily mentioned in this part. Transporter name, transporter ID, transporter Doc. No. & Date. Vehicle number in which consignment is being transported. Note: For products, clients/customers, suppliers, and transporters that are used regularly, first update the ‘My masters’ section also available on the login dashboard and then proceed. Step 4: Click on ‘Submit’. The system validates data entered and throws up an error if any. Otherwise, your request is processed and the eway bill in Form EWB-01 form with a unique 12 digit number is generated. Print and carry the eway bill for transporting the goods in the selected mode of transport and the selected conveyance. Bogged down by Eway bills? Use ClearTax EWayBill, a simple and intelligent solution to your Eway bill woes! 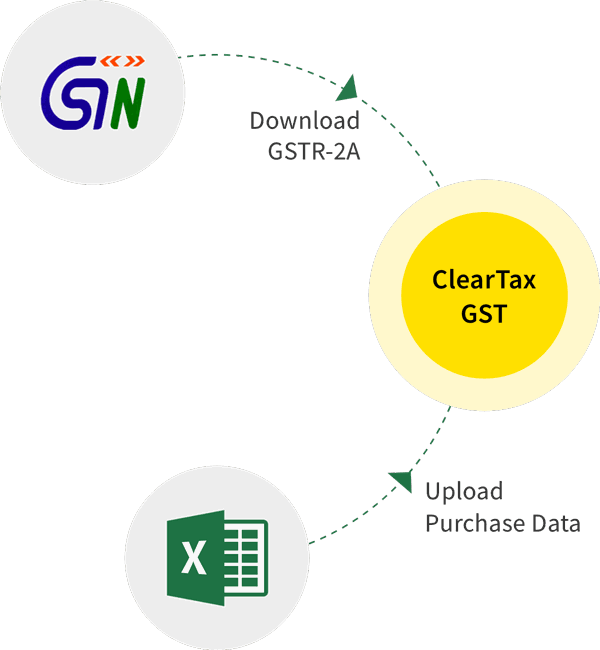 ClearTax offers a wide range of services in GST compliances such as Invoicing, Preparation and filing of returns and the latest addition to this list is preparing and generating ‘E-Way Bill’. How to Generate, Modify or Delete E-Way Bill using SMS? What are Consolidated eway bills and how to generate the same?